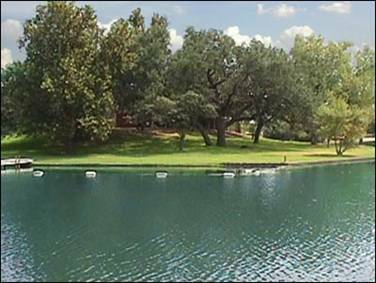 Stay in one of eight lake front cabins at Loyd Park on Joe Pool Lake in Grand Prairie – Just minutes away from all the entertainment DFW has to offer! 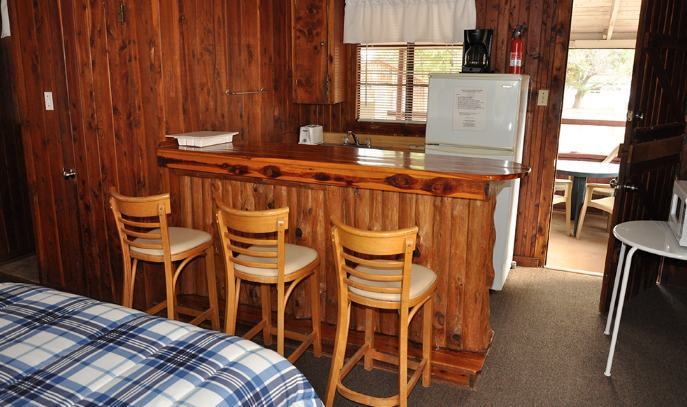 Each cabin is air conditioned and heated and comes fully-stocked with kitchen utensils, linens, satellite tv, and more. 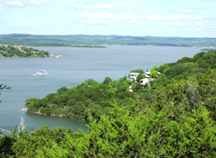 Our cabins are set in a "no wake" cove on the Colorado River "arm" of Lake LBJ. You will enjoy our quiet, relaxed atmosphere on the water without the lake traffic. Some of the amenities are a great one-acre game space including volleyball, basketball, tetherball, horseshoes and more. Centered in the park are the swimming pool and the Game Room which has foosball, ping-pong and a pool table. Stone Canyon Cabin is located within Stone Canyon Ranch, a 100 acre horse ranch approximately 15 miles south of Dallas, Texas. The cabin’s theme is the US western frontier in the late 1800s. All modern day amenities are represented but significant attempts have been made to hide or disguise them. 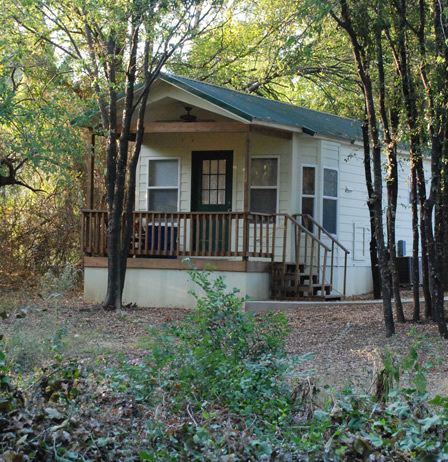 You will love these cabins only a short drive to tourist shopping in Fredericksburg. You have an opportunity to enjoy life on the farm and tourism, too, at these delightful log cabins. Walk the trails and enjoy the beauty and wildlife at the farm.